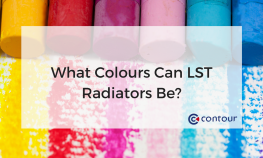 Contour Heating Products Ltd > News > What Colours Can LST Radiators Be? What Colours Can LST Radiators Be? Contour LST radiators are bespoke and made to order, meaning that no two jobs are the same. You are empowered with complete control of the colour of your low-surface temperature radiators, suiting your designs and environments without compromising quality or lead time. You have the full RAL colour chart to choose from, offering a colour spectrum of 1625 shades. Whatever the setting, colour is integral to creating atmosphere. Colour LST radiators are core to aesthetic design and can be made to match or complement room designs. You can even get creative with colour radiator covers by introducing lighting. Experienced with the care sector’s requirements, Contour provides radiators for spaces to live and heal in. Time spent in care environments can feel intimidating, but Contour minimises this by removing the clinical edge from products and helping to create homely spaces. Scientific research shows that certain colours stimulate specific moods and have calming effects. This is particularly beneficial to design in Contour’s healthcare, education, mental health, commercial and domestic sectors. 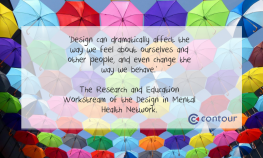 The Design in Mental Health Network concludes that designing with people in mind improves mood, productivity and the ways that people communicate. Contour have provided green radiators for Leighton Hospital to fit the fun-factor of their tree-themed children’s ward. Contour will soon also be producing blue radiators for an under-the-sea themed ward. Radiator colour choice depends largely on your setting. Karlin and Zeiss (2006) conclude that bright colours, though aesthetic, often aren’t appropriate for the health sector. This is due to evidence that they can stimulate agitation in patients. Conversely, subtle colours have been proven to calm patients. But it’s not as simple as just picking a colour – tone is important too. Karlin and Zeiss report that while some shades of blue create a calming atmosphere, blue-green shades tend to worsen the moods of patients who suffer from mental health issues. Colour choice can be just as complex in other settings. June McLeod, colour consultant and author, has developed colour recommendations for nursery schools to improve children’s emotional development, decrease noise levels and increase serenity for both staff and children. 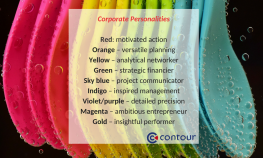 McLeod has also created colour-coded Corporate Personalities for office design, based on scientific research. 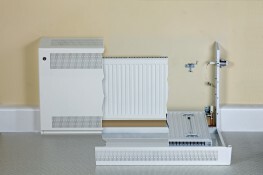 LST radiators come in a variety of designs, as well as a variety of colours. Choose between Contour’s range of best-selling DeepClean LST radiators, specialist anti-ligature radiators for mental health and secure facilities, and cost-effective Covora radiators. A wide range of accessories is also available to choose from, including strengthening struts, door reinforcement bars, door chains, base plates for wall-mounted radiators, TRV kits and Rotarad kits. Not only do Contour radiators come in an array of colours and designs, they are also protected using BioCote® antimicrobial technology. BioCote® protects against the growth of microbes, making Contour radiators the safest choice for healthcare, mental health and education sectors. Talk to one of our experts about how colour can promote healing in healthcare environments, and how coloured LST radiators can be specified and integrated into your next project. Karlin, B.E., Zeiss, R.A., ‘Environmental and Therapeutic Issues in Psychiatric Hospital Design: Toward Best Practices,’ Psychiatric Sciences (2006), 57:10, 1376-1378. McLeod, June, Colour Psychology Today (Alresford: John Hunt Publishing, 2016).